A 14-pound bunny will be among special guests at a "Pet Rabbit Show," 10 a.m. to 1 p.m. tomorrow at the Wahiawa Public Library. 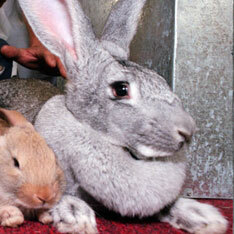 The Hawaii All-Breed Rabbit Club will feature various purebred breeds, and bunny owners are invited to enter their pets in the rabbit show (call 622-0857). Admission is free. The library is at 820 California Ave. Call 622-6345.